When thoughts of a modern, balanced and picturesque city come to mind, then you definitely would consider the beautiful unincorporated city of Hacienda Heights. This city came to be in 2010 and is located in the Los Angeles County of California; when being referred to, Hacienda Heights is considered a census-designated city that was put together in a bid to aid the entire process. As a result, Hacienda Heights, though a proud suburban city, harbors many delights along with a strong stream of cultural diversity. Its city streams are enlivened by a lush mix of Mexicans, Indians and native white residents that bring a certain feel of colorful serenity amidst a thriving commercial base. This impressive quality has been the backbone of its economic boom and the reason why lots of firms of varying niches have come to settle in the fast developing city. If you need the services of an attorney, you might need to spend some time skimming through the bulk of offers available in the sector as you would likely want to entrust your case to the hands of trusted professionals. We are glad to announce our profound competence and amazing offers to you. Rawa Law Group is a distinguished legal entity here in Hacienda Heights that offers one of the finest and professional legal services in the area. We would like to be your attorneys of choice, and to make our case, here are a few reasons why you should go for our offers. Rawa Law Group is a firm that has been around for over two decades. We are not newbies, rather we are highly experienced and competent attorneys who have by training and firsthand experience obtained all that it takes to deliver. 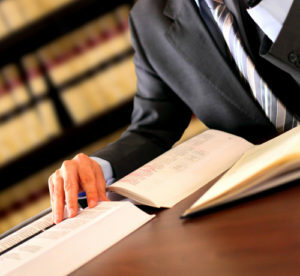 Our attorneys are ranked as some of the best in California. We have on our team trusted attorneys that have a track record of exceptional performance. They are available to take on your case. We seek to obtain the results that are best in the interest of our clients in the most professional and ethical way. We offer a completely FREE consultation service, where we get to evaluate and advise on your case. This service is supported by our contingency payment arrangement for representation which means that you do not need to pay any advance before your case is considered. We are a team of attorneys whose creed is firmly established on integrity, relentless devotion and complete commitment to the case and welfare of our clients. Rawa Law Group is undoubtedly one of California’s most revered legal establishments. We have championed the scenes for over twenty years, fighting tirelessly for the rights and welfare of claimants across the area and in Hacienda Heights. We are professionals in a wide range of legal subjects that run from Incorporation needs for entrepreneurs and business persons to litigations touching Employer conduct, Wage and Hours, and much more. Our years of relentless service has left for us with a public acclaim of excellence which speaks of our untainted integrity, unspoiled vision and inimitable devotion to the welfare of every claimant that comes to us and we would like to work with you, in making your life better. Our service is thorough. For every case we take on, we go the extra mile to reach out to professional investigators if need be to ensure that we get the best perspective and result. Our attorneys are prepared to go all the way for your case; they will defend your rights and help you land the compensation that befits you and your needs. We also give our clients a premium consultation for their legal matters. These cover any and every questions they may have as regards their case, we also provide counsel on what they are expected to and the safest course of action by the law, depending on their circumstance. Our professional service touches virtually every subject of your case to ensure that you are well represented; you have got absolutely nothing to worry about! Were you involved in a hit and run accident? These claims can be tricky if not professionally handled. We have the skilled investigators we’d work with to help craft a solid case for you in court and bring you the money worth of the hurt and pain you have had to go through. Dog owners have the responsibility to ensure that their pets are monitored and reined in if needed in order to keep people around them safe. If you have suffered a dog bite, we can help you get a compensation for the pain, and also guarantee that such events do not reoccur. Getting a competent Hacienda Heights attorney to help fight for your wage and hour discrepancy is important if you hope to take on your bosses on matters involving the settlement of your wage. If you have been cheated in payment, paid less than you ought to have been paid or suffered any related injustice, then let us help you get the law to work in your favor. We have professionals who are expert Wage and Hour attorneys. Finally, getting a capable Hacienda Heights attorney is not as difficult as it would have been because our firm Rawa Law Group is on ground to handle any legal case. We are the law firm that delivers first-class legal services in the area, and we have a stunning track record of excellence. We would be honored to bring to work with you, our support staff is ready and available for your cause, all you need to do is pay us a visit or simply call our FREE number to schedule a consultation.